A life lived Jewishly is a life lived optimistically. Through the ages, even through the darkest of times, the Jew has remained defiantly buoyant, steeled by faith and fortified by an unparalleled love of life. Join us for an incredible evening of song that express the joy and exuberance that has made us transcend the vicissitudes of the times. 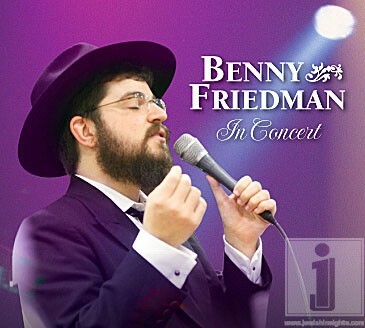 Benny Friedman – back for his fourth “Songs and Stories” concert – has long been known and loved in our community. He has served as High Holiday Chazan at Chabad of Calabasas for six years, preformed at Chanukah in the Park, CityWalk and many other SoCal venues. With the recent release of his wildly popular first album Taamu, Benny has created an incredible following on the East Coast as well. His Thanksgiving performance in Mumbai, India was broadcast live worldwide over the internet to international acclaim.